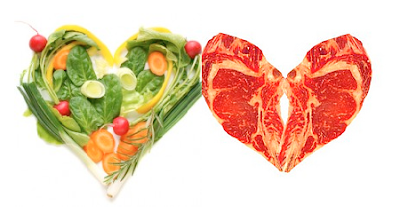 Can a meat-eater and a vegan be happy together? I think so! Read my piece on GOOD.is here. Great article! When my husband and I first started dating, we were both meat eaters. A few years later I became vegetarian. It took a while for him to get used to it, but he eventually did. A year ago I went vegan. It was tough going at first and similar to your experience, but the more he tastes the delicious vegan meals I cook at home, the more supportive he is of it. It also helps that we've found good restaurants that have both vegan & meat options. So I agree--it can work!